Holiday shopping can be overwhelming even for the most pro shopper. The season is usually so hectic that it’s easy to leave buying gifts to the last minute. Get ahead of the game this year by shopping this specially curated selection of accessories from GUESS. From perfumes and bags to shoes and watches, you’ll be able to check all your girlfriends—and yourself!—off your list. Scroll down to shop 10 must-have GUESS accessories. 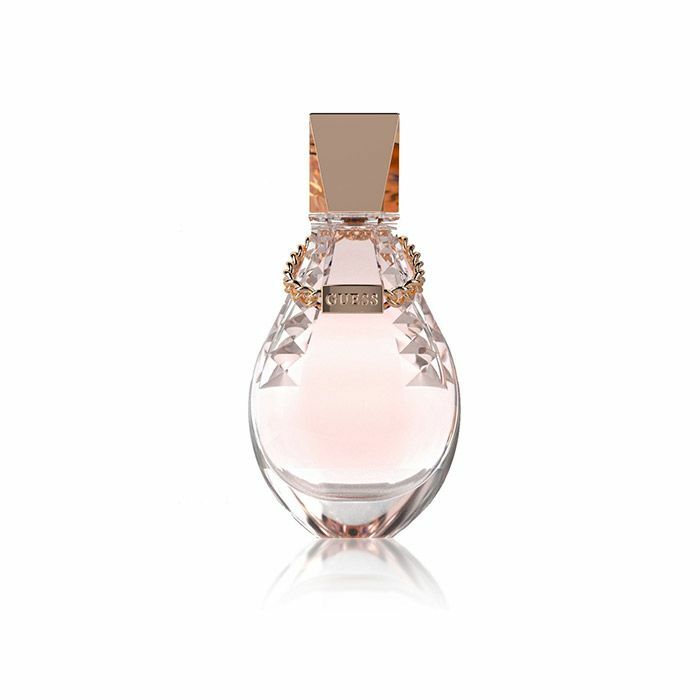 GUESS’ latest fragrance, Dare, has an irresistible fruity-floral smell. The cute packaging doesn’t hurt, either. Notes of tangerine and green apple make this scent a feminine pick that’s perfect for gifting one of your girlfriends. This adorable dotted bag is the perfect playful gift to give someone who loves playing with patterns. Whether you're getting these for yourself, or a friend, a girl can never have too many pairs of black pumps. Plus, the gold cap on this pair feels festive for the holidays. Have a friend who is constantly on the go? These heeled booties can be dressed up or down, meaning she can wear them from work straight to after-hours cocktails. Want to stand out at your holiday bash? Treat yourself to these bright blue heels and you’re set. Can't decide what to get someone? Pick something timeless, like this rose gold watch. For your girlfriend who loves a GNO, this cross-body clutch can be transformed into a clutch by removing its strap. Have a friend who is always late? Help her stay on schedule and in style by gifting her this watch set that comes with three interchangeable bands. Are you in need of a new bag for festive parties? This modern and elegant envelope clutch has just the right amount of shine for the holidays. Which item is on your wish list? Tell us in the comments below!